A highlighter is a writing tool that could be used for a few different things. 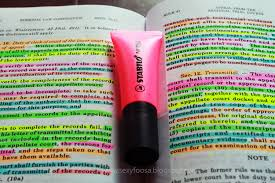 A highlighter is usually used for school work, cramming to study for a test but need to focus on specific important parts. 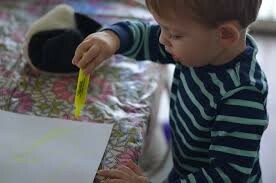 Or highlighters could also be given to kids as a coloring tool. Diverse colors could let you multi task when trying to study and allow kids more fun while coloring. Cramming to study for a test but don't know how to focus on key points? Want to make studying more colorful? Use highlighters! You can use the various colors too highlight different things. Babysitting kids that are driving you crazy? Give them a highlighter! Kids can be entertained by the simplest things so why not let them color for hours!